Growing a Big Storage partition on a Windows VPS? 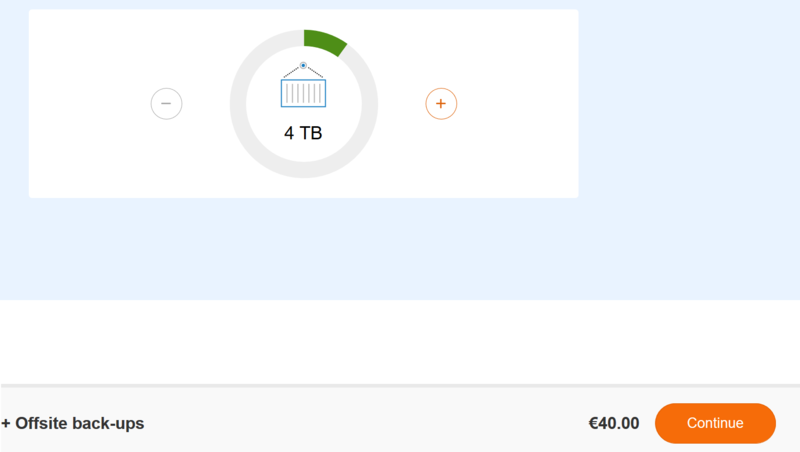 You can expand your Big Storage at any time (to a limit of 40TB per Big Storage). If you want to expand your existing Big Storage, you first expand the Big Storage from within your control panel. Log in to your control panel and go to BladeVPS. Click the name of the VPS to which Big Storage is linked. Directly below your VPS console, click the gear next to 'Big Storage X TB'. You are now taken to the management page of your Big Storage. Click 'Manage' at the top right and select 'Upgrade'. You then expand your Big Storage by increasing the disk to the desired size with the 'plus' button. When you are finished, click 'Continue' and follow the indicated steps. Windows Server will automatically add your extension. In the Server Manager, click Tools > Computer Management at the top right. 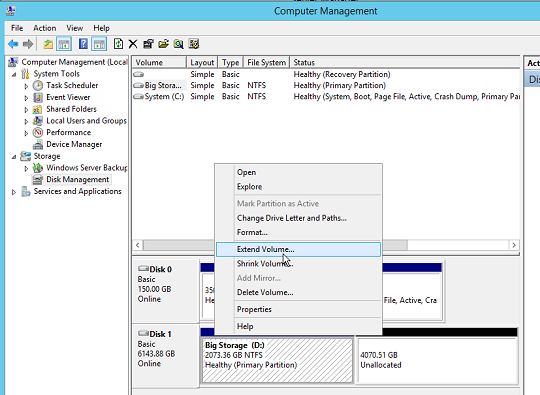 Then, through Storage> Disk Management, you will see that an Unallocated Volume has been added next to your current Disk. To expand your current Disk with this Unallocated Volume, right-click your current volume and choose Extend Volume. The system will open a Wizard in which the full extension is set to add by default. You only have to click Next and Finish. After completing the Wizard, the extension will be added to your current Disk. Please note that this only works for disks that have been partitioned using GPT. MBR has a limit of less than 4 TB, so you can only use a 2TB disk.